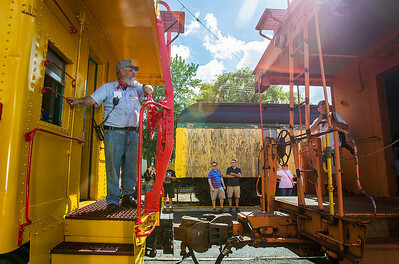 Kyle Grillot - kgrillot@shawmedia.com Trainman Lee Evan (right) directs spectators boarding the Nebraska Zeyphr during the final day of the Illinois Railway Museum's 60th anniversary extravaganza Monday, September 2, 2013. 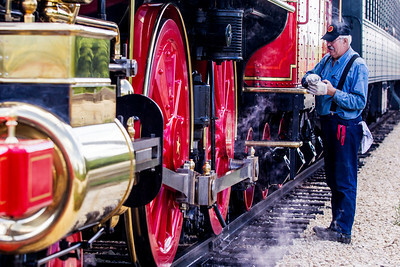 The rail museum operates steam, diesel and electric trains, and features nearly 400 historic locomotives and rail cars. Kyle Grillot - kgrillot@shawmedia.com Conductors and spectators ride steam engine trains during the final day of the Illinois Railway Museum's 60th anniversary extravaganza Monday, September 2, 2013. 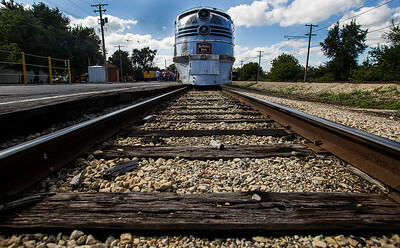 The rail museum operates steam, diesel and electric trains, and features nearly 400 historic locomotives and rail cars. 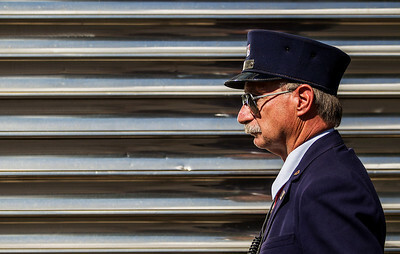 Kyle Grillot - kgrillot@shawmedia.com Trainman John Bender waits for riders to board the Nebraska Zeyphr during the final day of the Illinois Railway Museum's 60th anniversary extravaganza Monday, September 2, 2013. The rail museum operates steam, diesel and electric trains, and features nearly 400 historic locomotives and rail cars. 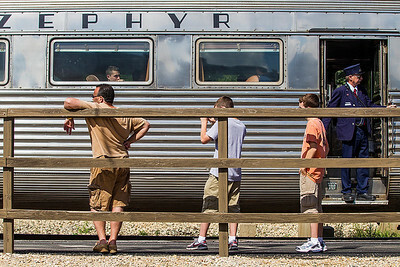 Kyle Grillot - kgrillot@shawmedia.com Riders wait on the Nebraska Zeyphr before the train's departure during the final day of the Illinois Railway Museum's 60th anniversary extravaganza Monday, September 2, 2013. 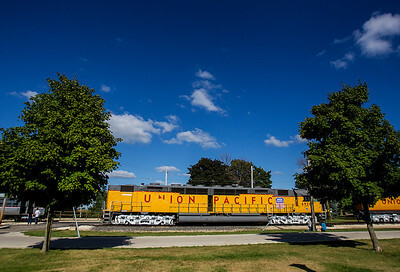 The rail museum operates steam, diesel and electric trains, and features nearly 400 historic locomotives and rail cars. Kyle Grillot - kgrillot@shawmedia.com Instructor Bob Ristow examines the Leviathan 63 during the final day of the Illinois Railway Museum's 60th anniversary extravaganza Monday, September 2, 2013. 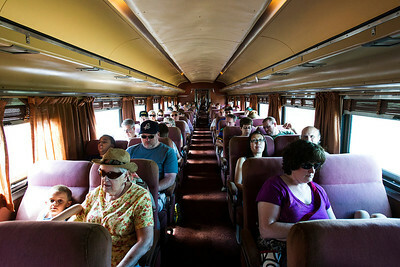 The rail museum operates steam, diesel and electric trains, and features nearly 400 historic locomotives and rail cars. 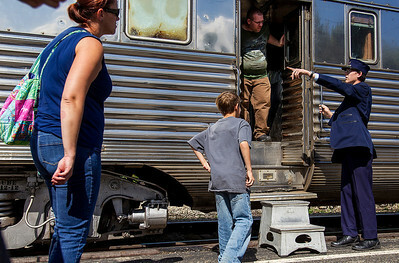 Kyle Grillot - kgrillot@shawmedia.com A spectator observes the Leviathan 63 during the final day of the Illinois Railway Museum's 60th anniversary extravaganza Monday, September 2, 2013. 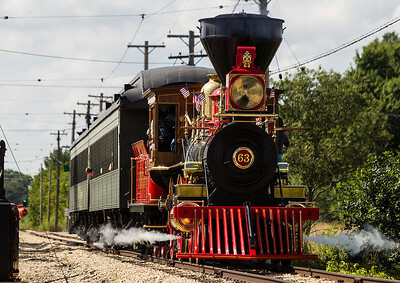 The rail museum operates steam, diesel and electric trains, and features nearly 400 historic locomotives and rail cars. 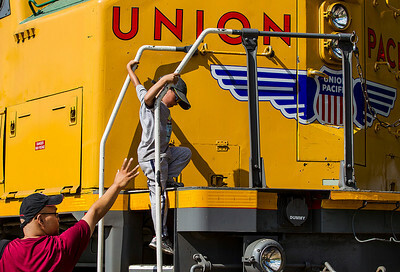 Kyle Grillot - kgrillot@shawmedia.com Eugene Almazan of Hoffman Estates helps his son Alex, 6, down from a train during the final day of the Illinois Railway Museum's 60th anniversary extravaganza Monday, September 2, 2013. 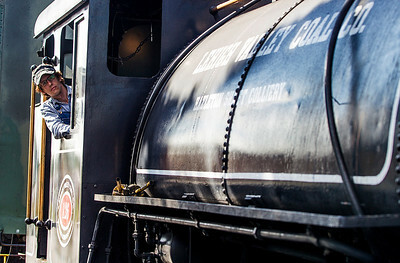 The rail museum operates steam, diesel and electric trains, and features nearly 400 historic locomotives and rail cars. 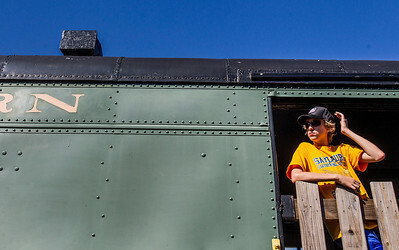 Kyle Grillot - kgrillot@shawmedia.com Andrew Lee, 15, waits on a train car before departure during the final day of the Illinois Railway Museum's 60th anniversary extravaganza Monday, September 2, 2013. The rail museum operates steam, diesel and electric trains, and features nearly 400 historic locomotives and rail cars. Kyle Grillot - kgrillot@shawmedia.com Engineer Brian Davies operates a steam locomotive during the final day of the Illinois Railway Museum's 60th anniversary extravaganza Monday, September 2, 2013. The rail museum operates steam, diesel and electric trains, and features nearly 400 historic locomotives and rail cars. Kyle Grillot - kgrillot@shawmedia.com Trains sit outside the Illinois Railway Museum's during the final day of the 60th anniversary extravaganza Monday, September 2, 2013. The rail museum operates steam, diesel and electric trains, and features nearly 400 historic locomotives and rail cars. 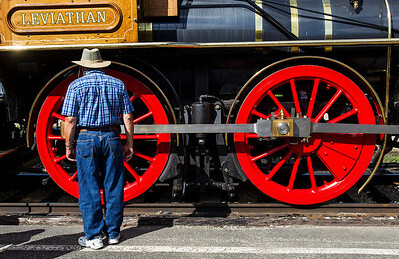 Instructor Bob Ristow examines the Leviathan 63 during the final day of the Illinois Railway Museum's 60th anniversary extravaganza Monday, September 2, 2013. The rail museum operates steam, diesel and electric trains, and features nearly 400 historic locomotives and rail cars.